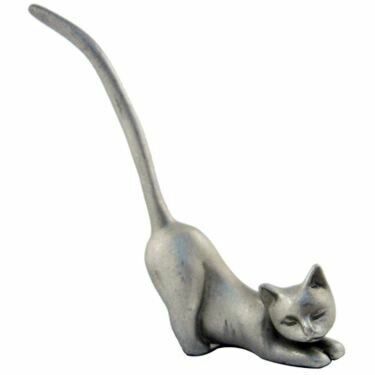 Elegant in its stature, with a tail that twirls to the sky, this pewter poured cat is the ultimate statement in jewllery accessories. 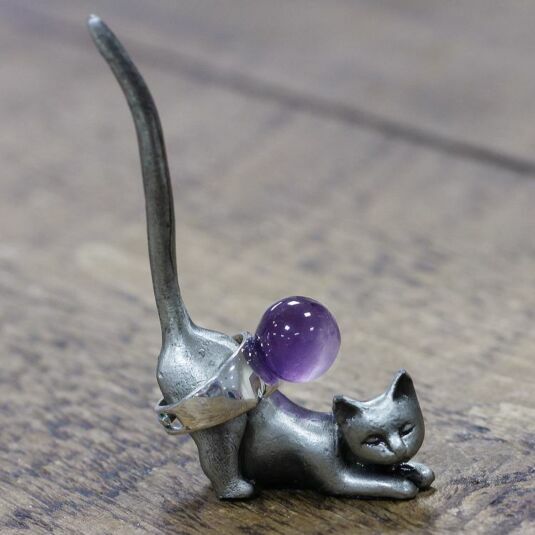 With a rustic look metal finish, this ring holder will fit with every piece of ring or hooped earring jewellery you have to store on it, whilst keeping it safe and in a memorable location. 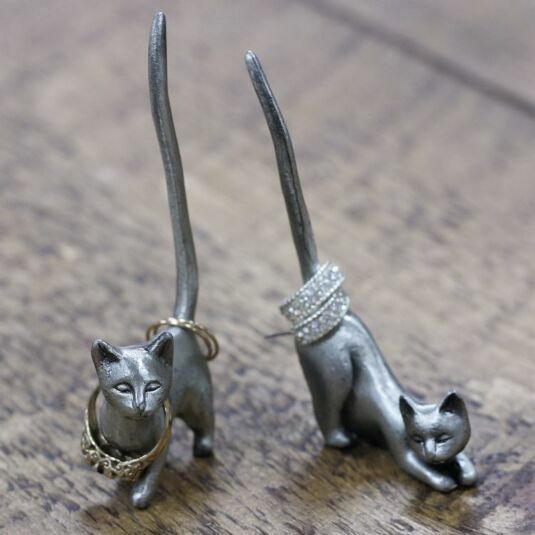 This ring holder is ideal for the smaller size of ring, but will also accomodate large rings and earrings that contain a hoop design or clasp. PLEASE NOTE: Jewellery not included.